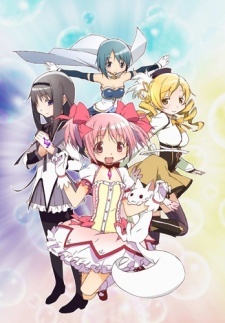 One night, 14-year-old Madoka Kaname has a terrible nightmare - against the backdrop of a devastated city, she witnesses a girl fight a losing battle against a dreadful being lingering above, while a cat-like magical creature tells Madoka the only way to change such tragic outcome is for her to make a contract with him and become a magical girl. Episode 1 - I First Met Her in a Dream… or Something. A grimdark deconstruction of the magical girl genre with an ending that will keep you coming back. watch sailor moon and princess tutu first then come back to me.